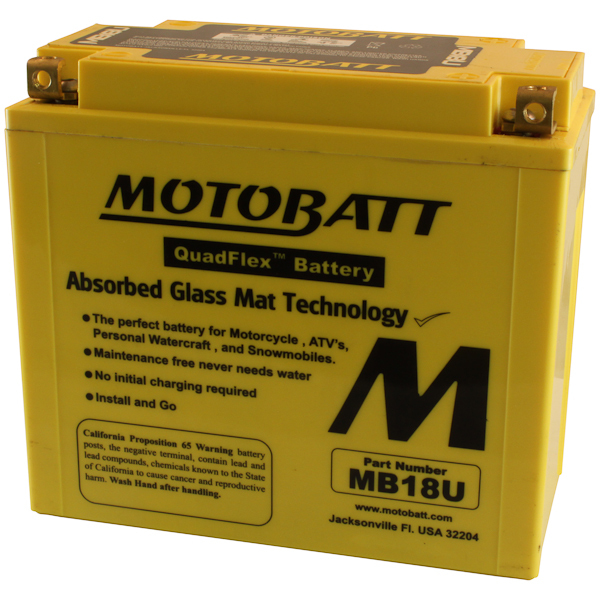 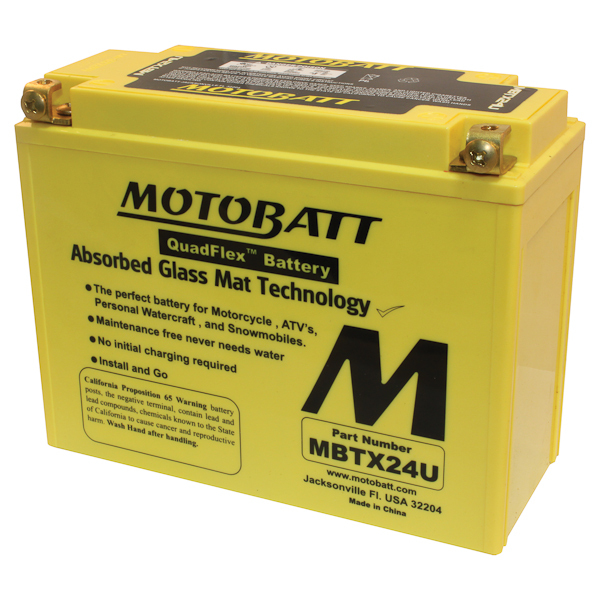 Motobatt's MBHD12H replacement battery has re-invented itself specifically for today's PowerSports market. 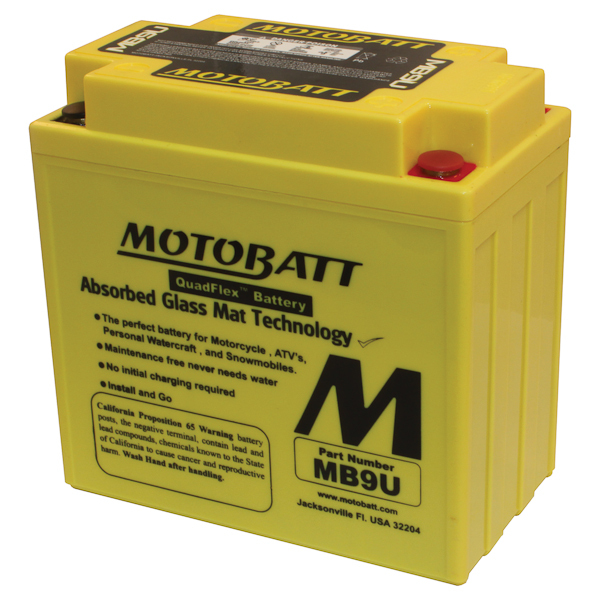 MBHD12H batteries now have the "Triple Threat" of high vibration, high starting loads and now more than ever, additional high powered accessory loads. 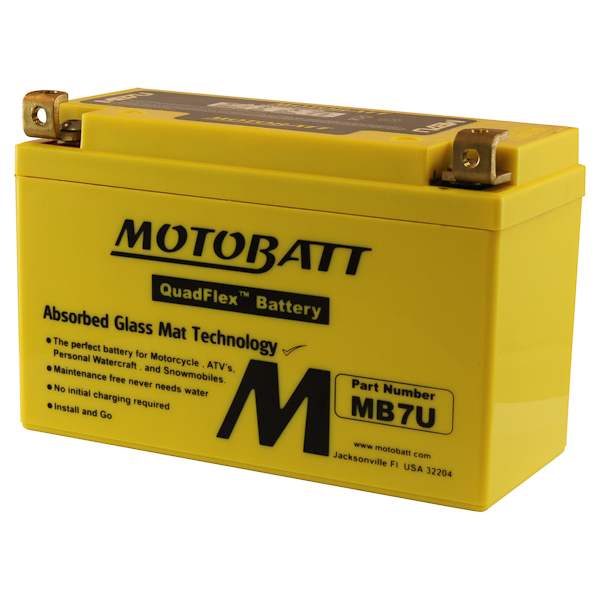 As well as the Quadflex post technology, the MBHD12H comes with 4 posts now, so that you can evenly distribute the load across the product and not overload single terminals. 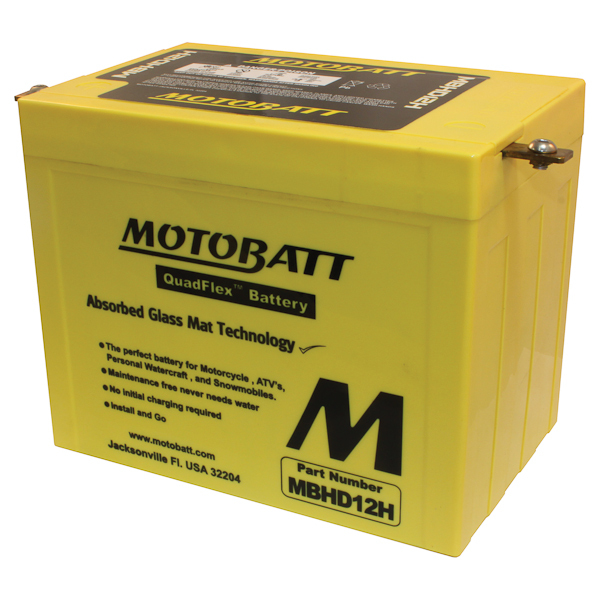 With a two year free replacement warranty, the competition doesn’t stand a chance against this 12V 33AH battery when it comes to performance, reliability, and service!